Recently the Board has been kicking around ideas for a fund raiser. Considering how Tankers have dominated the last two play chip promotions PS ran we think this challenge will be a huge success. - Awards are 2 cd's compliments of our cd . One to the player contributing the most chips and the other for the player with the best ROI. 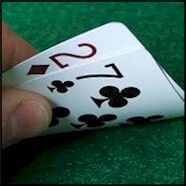 This way players at lower stakes are not at a disadvantage. - Feel free to play a challenge block as often as you like but only your 1st block will count in determining awards. - Since we know Tankers are the best players on the site and to maximize our return were accepting DONATIONS to bankroll some of our members that want to play higher stakes than normally played. Anyone NOT wanting their donations to go toward staking please PM Johnny. - The maximum stake players are allowed to request is 255K. Any player accepting a stake is required to send back any remaining stake and profits. Stake request should be made via PM to Johnny. I will be glad to donate and I will send 1 mil to Johnny or Jordan; just let me know who to send to. Thanks and good luck all!! Now I know why EZ calls you his sugar momma. Easy calls everyone his suga momma; why do you think he is called "Easy"?? I'm still contributing the 2 mil. I said I would. Will transfer 1.75 million tonight and keep 250K to play a block. I would like to play 10 25K 9man sng's. I'll kick in the extra 5K for the registration fees. Let me know if this is all fine Jordan. I'll begin playing these tomorrow if everything is copacetic. Funny game here. I slow played KK w/ 3 of us left, too slow, and guy hit a Q6 flush. With less than 1K chips, i managed to hit the next hand all in, and managed to even get the chip lead for a little while. Xiaolong1979 wins the tournament and receives 112500.00 - congratulations! Well played Dano! Caught your game when there were 5 of you left. Dang - not your game for KK - saw both those hands. Not sure why I decided to slow play those 2 hands. Mostly because they were folding to my raises pretty consistently. The first one though, I just had a feeling that if I pushed, he was calling with his short(ish) stack, and I wanted to see the flop. As that turned out, saved me a few chips by not doubling him up. The second one, I should have pushed either pre or on the flop. But again, I wanted the action, just didn't like it once I got it. I did enjoy taking out Rosi w/ practically nothing. I made a lot of plays in this game, mostly with nothing, and only one that I remember was called, when I bet 2 pr. on the board w/ K high and he called w/ the A high. Interesting that at times, I'll look at how things are going and predict where I'll likely finish. With 5 left, I said to myself that I'll be 2nd, so I need to fight to get first. Ahhh don't send the horse to the glue factory; give him a chance!! Good try guys, better luck next time out!!!! Getting ready to play a couple. I'll edit this post and keep all the results here. finally deciding to play my style against this (usually) limp fest of calling stations. surprised there was actually a raise preflop. I had just stolen a hand on a pot bluff w/ AQ and 4 folded, then pot again w/ 99 and 567T board...so thought i should just limp after 2 straight raises pre. Twice this guy made me fold when an overcard hit after i bet 80% of pot w/ top pair. Was pretty sure he was just calling w/ overcards, then putting out big bets when they'd hit. Intuition is the best tool when we listen to it. I couldn't snap these bets off fast enough, he couldn't call fast enough. Thanked the dealer for no Q. AK...sigh. Villain seemed a little frisky just a couple hands into HU...so, I thought I might have the best hand. That's what my intuition said. fcpnico finished the tournament in 2nd place and received 67500.00. !! !111Dan wins the tournament and receives 112500.00 - congratulations! Thanks Jordo...posted a couple from today. Taking a break. May play one more today, but likely not. edit...congrats on your win Jordo. I am a little confused though. I thought we were only allowing a max buy-in of the 25k games for the contest, that 10 games must be played of any format, but all 10 must be equal to a total of no more than 250K, plus the reg. fees? We may need to lay this out clearly for the contest participants, because I would have preferred the 81K 27 mans as well. Sorry you took the "limitation of 255K for players the club staked" as the max buy-in we would allow any player to play, that was not the intent. We have several players that normally play the highest buy-in levels and we would not want to limit them to lower levels. I have edited the original post to clarify that point. Now we have the issue of your current block being your first and as such will be the one to count toward the award. Since there was a amubigity (point of confussion) There is no objection to you withdrawing the current block and running a new block at the buy-in you are confortable at. If you choose to do that please delete all post relating to it. In either case you can run as many blocks of 10 as you want but only the first in considered in awarding the CD prizes. Okay..yeah, i never noticed an edit to the original posting of the terms. I'll have to figure out if I need any more or not to get rolling, probably not, I can just use my own and start from there if I don't cash in the first couple. I'll also look over the games. I was playing both the 80K 27 mans and the 201K 9 mans. I'll check it all out tomorrow and start over. Thanks Jordan. Brayleegirl finished the tournament in 3rd place and received 270000.00. TILTING GURU finished the tournament in 2nd place and received 405000.00. SMWJMW finished the tournament in 2nd place and received 315000.00. Brayleegirl wins the tournament and receives 585000.00 - congratulations! Lol I don't seem to be able to copy hand info.